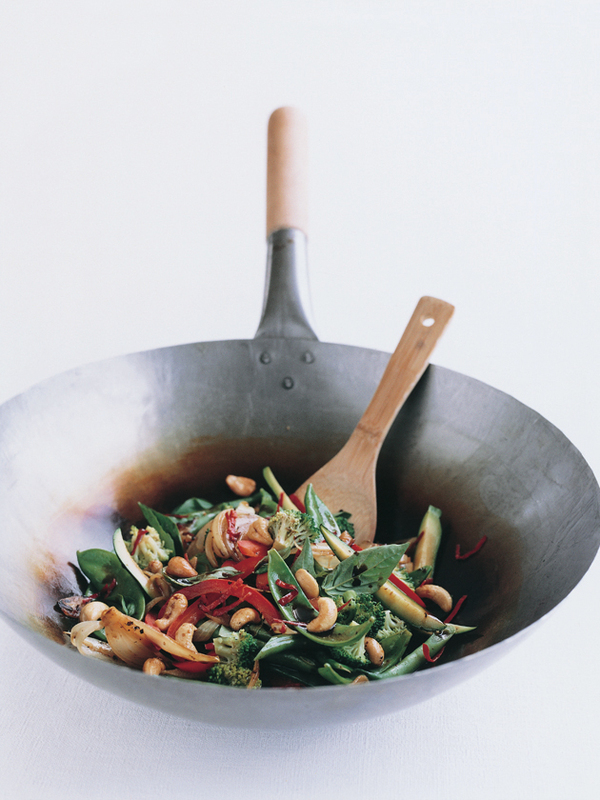 Heat a wok or large frying pan over high heat. Cook the oil, chillies, onions, garlic and pepper for 2 minutes. Add the beans, capsicum, zucchini, broccoli and snow peas and stir-fry for 4–5 minutes or until tender. Toss through the soy sauce and sugar. Sprinkle with the basil and cashews and serve with jasmine rice or as a side dish. Serves 4 as a side dish or with rice as a meal.